If there's a way to celebrate the end of Dry January, this might be it. That is, with the Rioja that tops Decanter's (www.decanter.com) panel review of 2010 (red) Riojas. The big news is that it does so at a remarkable price of just £14.95 (from us). Big Scores at Low Prices is exactly the story we find our customers want to hear about, so let us tell you more. If you just want to buy the wine without further ado, click on any of the photos/images below. The Bodegas Olarra Cerro Añon Gran Reserva 2010 scores 96 points in the blind-tasted panel review. In so doing, it tops the pops by a full point and is one of just two wines rated as Outstanding at 95 points or more (the other Outstanding is a £40 wine and not UK-available - this we know as we looked hard at importing it). There are a further 34 Highly Recommendeds (ie 90 points or more): you can find full details of all those we offer - some are very fine and affordable - here on our page of the March 2019 Decanter wines. The review confines itself to wines under the Reserva and Gran Reserva labels (plus a very few of the "luxury modern" style ... which curiously don't fare that well, although 2010 was early days for these). In so doing, it captures the upper-echelon style of Rioja that accounts for a good 25% of the UK market, but does not cover the workhorse Crianza category or the 'house wine' (if one is to to be frank) Jovens. (lower importance, really) overall time before release from the bodega (effectively, additional time held in bottle after said barrel-ageing). It is typically held that Gran Reservas are only made in the very best years, but it is noticeable that the majority of Rioja producers have produced one every year for some years now, despite some noticeably poorer harvests. 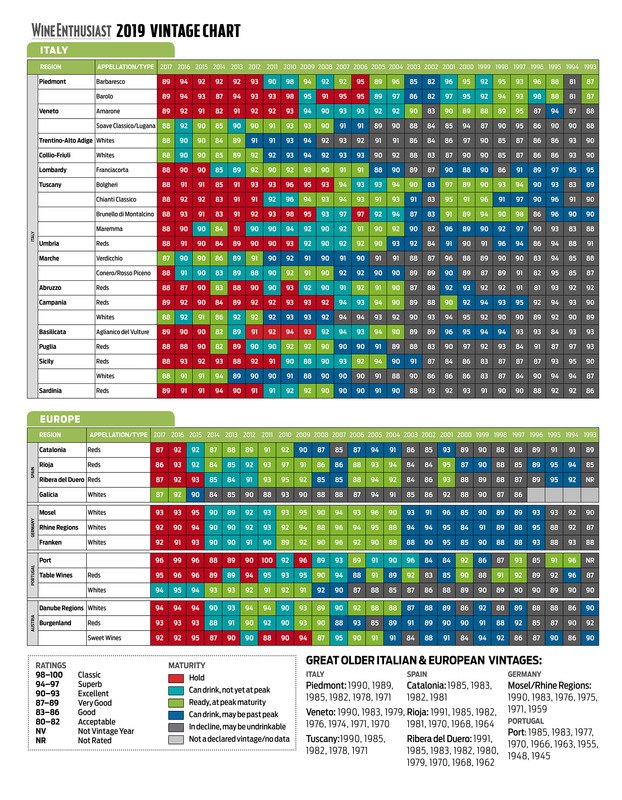 as the box below shows, Decanter have sung its praises both this year and in last year's Spanish special, when, additionally, their review of Mature Riojas (across all vintages available to the test) featured a very large proportion of 2010s in the top rankings (16 of the 48 wines rated Highly Recommended or better). we figure that by now, you want to know about the Cerro Añon. a minimum standard of ageing for a GR would be 24 months in oak and 36 months of bottle age: this wine sees 27 months and 45 months respectively. There's a heap more detail on the wine's 'technicals' on the product page. So, how does it taste for all of that? Well, we at Exel loved it in our group tasting here (see bottom photo). There's a careful balance to be struck in a good GR Rioja. It's all too easy for the extended oak ageing and subsequent time-in-bottle to fade a wine too heavily (it happens often with GRs); that is, to make it too 'tawny' (if you will). It's also too easy to bring too much oak to bear and to up up with an Oak Monster, or to leave it just a bit short of oak, leaving the wine feeling too 'full-on fruity' and unbalanced. We strongly felt the balance was excellent here; this didn't feel like a wine with 8+ years already on the clock, and had instant drinking appeal (we respectfully disagree with Decanter's view that this needs a little more time before drinking, but that entirely depends on just how you like your aged Rioja and what you expect from it. NB: We took the time to give our bottle of the GR some 4-5 hours in a good, large-surface decanter (see bottom photo) at a good room temperature, and felt that the wine was open and fully expressive already. Whether each of the 70 bottles tested by Decanter gets such love, we know not. We'd entirely agree with Decanter, of course, that it easily has 10 years (and then some) of prime drinking window ahead of it (from now). There's oodles of all those classic 'ageing flavours' swirling around: tobacco, leather, boxwood, bacon ... all draped across a base palate that is unusually black fruit-ish for a Rioja (but still predominantly red fruit). What (pleasantly) surprised us most were both the sheer silkiness/'smoothness' (a term we try to avoid), and a finish that was still with us at tea-time. Decanter's 96 points was accompanied by a myriad of positive remarks from the three judges (see review above): "refreshing and well balanced", "seductive and wonderfully approachable", "very long and memorable", "vibrant and gorgeously rich". We've probably said all we need to, haven't we? If nothing above convinces you of just how good this daftly-well-priced, ageworthy Rioja is - from the best vintage in decades - we're not sure anything will. You'll notice that last picture above doesn't just feature the Cerro Añon Gran Reserva. Its younger siblings - the Reserva 2014 and the Crianza 2015 - are also excellent and available from us. This isn't just a bit of makeweight marketing. The Reserva is a fine specimen, and we struggle to find Reservas of this quality for the wonderful £12.50 price tag. It's got some top vanilla, heaps of fruit, great balance and is most appealling, especially at the price. But that Crianza, in particular, is Fantastic (capital F fully intended). Of the team here, most actually preferred it to the "main event". Yes, really. It's a different style, of course - more fruit-forward, immediate and crunchy. That 2015 vintage (in Rioja generally) sees big scores from the critics (see those vintage chart links above) and we're quite sure that this is a top-scoring Crianza (alas, it escaped the remit of this test) and one that will age incredibly well for a Crianza (5-7 years from here). At (exactly) a tenner a bottle, seriously, don't miss this one. Awarded 96 points and Outstanding status by Decanter (www.decanter.com) in their March 2019 edition review of 2010 Riojas (see blue link below). "I bought six of these and unfortunately I have given three away to friends. We opened it last night and decanted as per the instructions of your shop staff. The wine is truly spectacular and I am working out how to break in to my friend's flat to steal back the wine I gave him. I have never been moved to comment on a bottle of wine by email. Thank you for the spectacular experience. Another 6 please. I won't be as generous with the next lot!" In case you missed it reaching this page, here's our article on the review and this wine. We also highly recommend the Gran Reserva's two younger relatives, the 2014 Reserva and the 2015 Crianza. Bodegas Olarra was created in 1973. Situated on the outskirts of the city of Logroño in Rioja Alta, their winery – a Y-shaped building designed to make optimum use of the space for both production and ageing of the wine – is known as “the Cathedral of La Rioja”. From the beginning, the winery has known how to combine the traditional methods of production and ageing with the most advanced modern techniques of viticulture and vinification. A favourable geographic location, gives the vineyards all the ingredients to produce good fruits. Indeed the clay and chalky soil is watered by the rain and the Ebro river. This area also benefits from warm sunshine and the influence of the Mediterranean and Atlantic coasts. In 1978, Bodegas Olarra achieved their first Gold medal for a Cerro Añon wine in the tenth International Wines and Spirits Competition in the UK. Numerous awards followed from then on, proof of the outstanding quality of their wines. Grapes for the Gran Reserva are drawn solely from Olarra vineyards; these are located primarily in Rioja Alta, but also in Rioja Alavesa to a lesser extent. Vines in these vineyards are all grown in the traditional way. The average age of the vines is over 30 years. Most of the vineyards sit on a clay-rich soil in Rioja Alta and on limestone-clay soils in Rioja Alavesa. Harvests took place later than usual in 2010, well into late October, when the fruit was considered to have reached full ripeness; this slower, steadier ripening accounts for much of the quality of this harvest (generally) and the 2010 Gran Reserva (in the specific). Subsequent selection ensured that only grapes in healthy shape made it through to the vinification process. 2010 was a great year in the history of the quality of grapes on the Olarra estate. Tempranillo 80%, Mazuelo 10%, Garnacha 5%, Graciano 5%. Fermentation and maceration lasted for a total of 19 days and were performed in stainless steel vats at a controlled temperature of 28ºC. Later on, the wine was racked into new French (Allier) oak, 225-litre casks/barricas where the malolactic fermentation took place, followed by a stay on the lees for a little over two months, with regular batonnage. By the end of that winter, the wine was already being racked into new oak barrels, where it remained for a further six months. After this, the rest of the oak ageing - up to the total 27 months - was conducted in different barrels again: Allier and American (Missouri) oak, all with a medium toast, and with different ages spanning from brand new to 5 years. After fining with egg whites, the wine was bottled and stored in Olarra's bottle cellar for 45 months, before it started to be released. The Gran Reserva 2010 shows a deep red colour with shades of ruby on the rim of the glass. On the nose, at the time of original release, it revealed a delicate balance between ripe red berry aromas and those of spices and smokiness. Over time, this developmental bouquet has grown more complex, showing aromas of leather, tobacco, coffee beans and raisins. On the palate, it is full and round, thanks to its long period in the bottle. Mouthfeel is as firm, elegant and smooth as one should expect from a great Rioja Gran Reserva, with a surprisingly long and fresh finish. Officially classified as Good by the Rioja Control Board (Consejo Regulador), the 2014 vintage followed a year when the weather was good in spring and most of summer, but turned wet towards the end of harvest. The fruit for Cerro Añon Reserva comes from Olarra's vineyards in both Rioja Alavesa and Rioja Alta. Average vine age is around 25 years; the soil patterns in the vineyards are a combination of the well-known limestone/clay/alluvial mixes to be found in most of Central Rioja. Approximately, the mix of grapes for Cerro Añón Reserva 2014 is 90% Tempranillo, 5% Mazuelo and 5% Graciano. Harvests took place at the end of September, with a good ripeness level (both phenolic and alcoholic); Olarra managed to harvest most of the grapes intended for use before the weather took a turn for the worse. Maceration time was 18 days with daily pumping over in stainless steel vats at a controlled temperature of 29ºC. Half of the wine underwent malolactic fermentation in new 225-litre French and American oak casks, while the other half saw malolactic in concrete tanks. Barrel ageing was carried out in 225-litre oak casks/barricas, of which 65% were made of American wood, the rest being French Allier oak. This lasted for 20 months with regular racking. The barrels were aged from brand new to 7 years of age. Once fining and bottling were finished, the wine remained in the bottle cellar for 18 months before the start of release. At the time of release, this wine showed as a bright crimson red in colour. On the nose, aromas of sweet ripe fruit and delicate notes of smokiness very much remain today. On the palate, tastes of cherry, plum and blackberries combine with a gentle, clean aroma of oak. The Reserva 2014 has a most elegant mouthfeel, a full body and a fresh and fully fruity aftertaste. This wine is full of life (when compared with many Reservas) and should drink very well for the next 10-15 years.